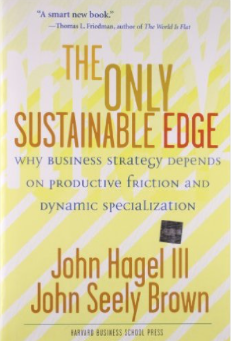 The Only Sustainable Edge makes the case that executives need to fundamentally re-think business strategy at three levels: sources of strategic advantage, management techniques required to build this advantage and approaches to developing business strategy. Starting with a perspective on offshoring and related outsourcing trends, the book shows how these trends will force companies around the world to reassess specialization, connectivity and learning in order to get better faster. While the world is flattening, it is paradoxically also creating new opportunities to build much more powerful forms of strategic advantage – but only for those who understand how to compete in a flatter world. Information technology is playing a key supporting role and the book discusses how new generations of IT will support new business strategies. In a Prologue and Epilogue, we also explore the public policy implications of the forces reshaping the global business landscape. Available from Harvard Business School Press. Like my other books, it can be read on many levels. 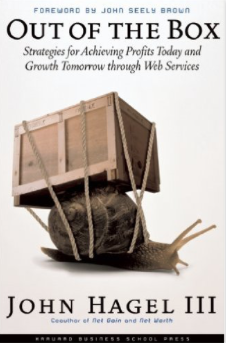 It is the first book designed to help executives understand the business implications of Web services technology. It demonstrates that this technology will have a profound impact on traditional enterprises, driven by compelling economics. But that is just the starting point. It focuses more broadly on the changes in business practices that will be required to continue to create value in markets shaped by intensifying competition. Even more fundamentally, it highlights a profound shift in mindset that must occur for businesses to succeed in the decades ahead. This book popularized the term “infomediary”. A business book best-seller that has been translated into ten languages, Net Worth also can be read on many levels. It develops a detailed view of the infomediary business opportunity – to serve as an agent on behalf of customers, helping them to capture information about themselves and to use this information to make them even more effective in extracting more value from vendors. More broadly, it highlights the important role that customer information – and the related controversies around privacy – will play in shaping relationships and value creation opportunities on electronic networks. 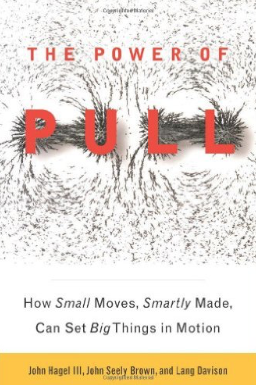 Expanding further, it traces the power of economic webs, using economic incentives to mobilize the resources of third parties to advance your own business strategy. At another level, it helps executives to understand the changes that will be required to adapt to markets where customers gain more power, including a very different form of marketing – collaboration marketing. Underneath all that, it makes the case that electronic networks have significant power to reshape business relationships and that companies should understand and exploit the distinctive capabilities of these networks. Described as “subversive” by Esther Dyson, Net Gain makes the case for virtual communities as a new kind of business model. 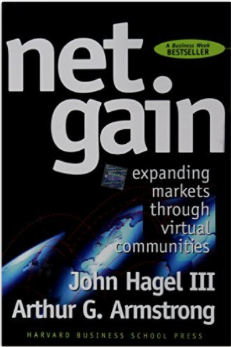 Another business book best-seller that has been translated into ten languages, Net Gain argues that community and commerce are not at odds with each other. If properly understood, they have the potential to significantly reinforce each other. 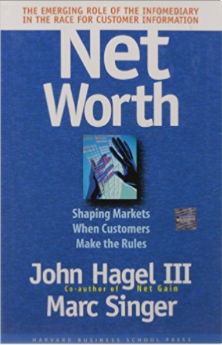 Pointing out that customers are coming together in independent forums to talk about vendors, the book indicates that companies do not have a choice about this – their only choice will be what role to play in these conversations. Rather than thinking about marketing as a one-to-one relationship with one vendor communicating with one customer at a time, marketing must be reconceived as a more complex orchestration of relationships, helping customers to connect with each other as well as with other vendors. The key theme of the book is that electronic networks offer distinctive capabilities and companies need to develop innovative new business approaches to effectively exploit these capabilities.